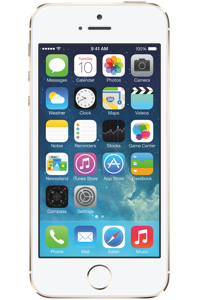 Apple revolutionised the phone industry back in September 2013 with the launch of the 112-gram iPhone 5S and its built-in TouchID fingerprint reader designed for improved security. This technology allowed users to unlock their iPhone 5S just by placing their finger on the home button. Other upgrades from the iPhone 5 included a new motion A7 co-processor and slow-motion camera. With a sharper image due to its 4-inch display and a resolution of 1136x326 pixels, the iPhone 5S certainly had the phone industry buzzing. Siri, the consumer giant’s digital personal assistant, was added to the phone to help navigate the iPhone’s multiple features and answer any questions the user may have. However, if you want to use the iPhone 5S on any network in the world you are going to have to ask for external support. doctorSIM is your best option for unlocking your iPhone as we use the only method recommended by the phone manufacturers and network providers themselves - by IMEI. Unlocking your phone by IMEI is 100% legal and will not void the warranty. We are fast, safe and the unlocking is permanent, meaning no matter how many times you update the software your iPhone 5S will never relock. To successfully network carrier unlock an iPhone, the iCloud Activation Lock must be disabled. Find out in just a couple of minutes the iCloud status of your smartphone with our iCloud Activation Status check. Unlocking iPhone 5S with doctorSIM is rated 4.8 out of 5 based on 23 reviews .